Welcome to your new favorite film festival, where nature takes center stage on screen and blooms in abundance throughout one of California’s most scenic valleys. Situated just 25 miles inland from the seaside beauty of Santa Barbara lies the bucolic Santa Ynez Valley; home to world class wineries, race horses, Danish pastries, award winning breweries, famous split pea soup, majestic oak studded hillsides, and scenic Lake Cachuma. The NatureTrack Film Festival will return Mar 22-24, 2019, in the picturesque town of Los Olivos and will feature films curated to “ignite passion for nature through film.” NatureTrack Film Festival founder and director Sue Eisaguirre conceived the idea for a local film festival as an extension of the nonprofit NatureTrack that she started in 2011. NatureTrack introduces school children to outdoor spaces from the seashore to the inland oak woodlands. As Sue says, “The natural beauty of the Santa Ynez Valley with its proximity to the coast and Los Padres National Forest, among other scenic attractions, makes it an ideal location for a film festival dedicated to the great outdoors,” and we think you’ll agree! The NatureTrack Film Festival will kick-off on Friday, March 22, 2019, with an opening reception preceding a full evening of films. A full slate of films will be offered on Saturday, and the festival will conclude on Sunday with a half day of programming and a closing reception. Films will screen at three venues in Los Olivos: St. Mark’s-In-The-Valley Episcopal Church, Gates Foss Center at Los Olivos School, and the Santa Ynez Valley Grange #644. 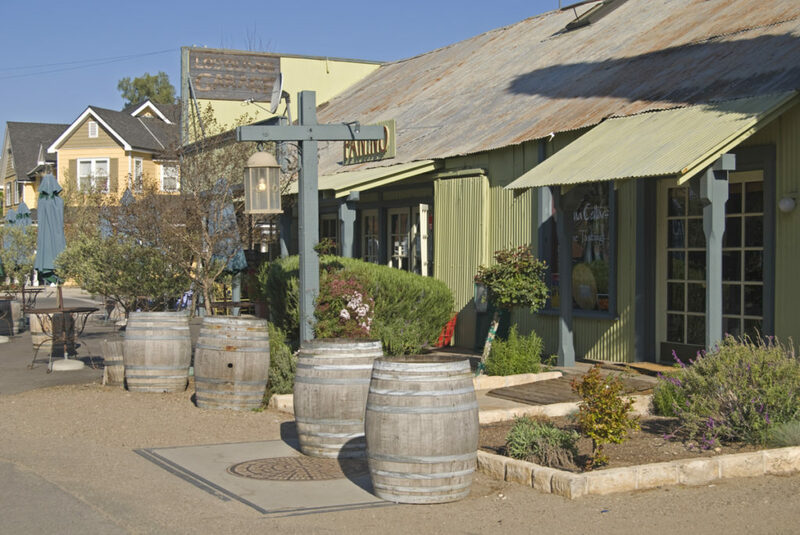 Organizers are planning to incorporate filmmaker meet and greets and panels; but festival goers may well encounter a director or producer for a casual chat in one of the shops and restaurants that Los Olivos is famous for.